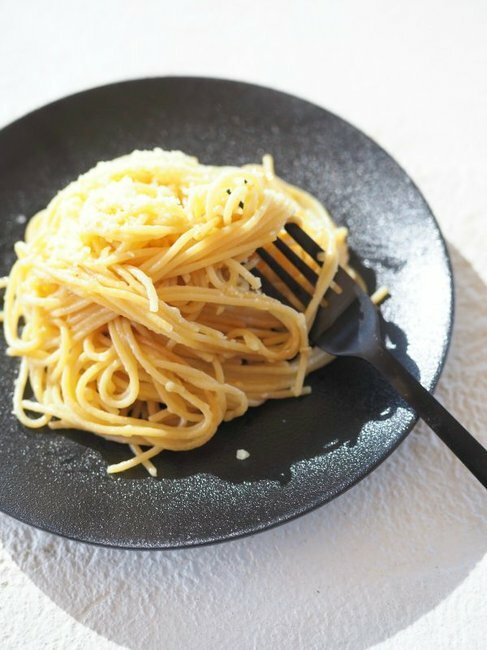 The $5 Vegemite pasta recipe just like Nigella Lawson's recipe. 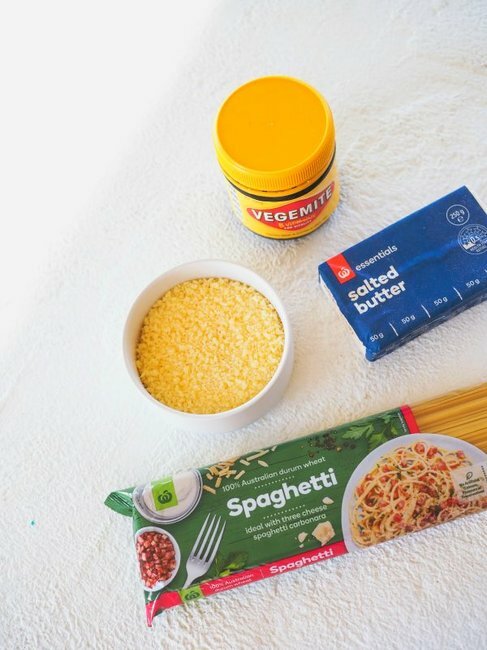 The really yummy vegemite pasta recipe that will feed you (and your family) for $5. I want to tell you that I am the most budget-savvy person, and I have all the secrets to saving money, paying off your mortgage in five years and building an empire. I can’t though, because it would be a flat out lie. I’m not all bad though. I’m savvy when it comes to maximising my discounts on bills and I like to think that I live well, but also live smart. And so I’m introducing to you, Vegemite Spaghetti. This recipe is for those weeks when you’ve lived REALLY well and you need to feed the family (or yourself) for under five bucks. Or perhaps you are the budget-savvy type and you just want to add this one into the mix to keep costs low. Kinda weird, but tastes SO GOOD. Image: Supplied. But first, here are my top tips on how you can save money at the supermarket. Meal plan - I always save when I’m organised, it saves buying things I don’t need. Shopping when I’m not hungry - It’s amazing how tempting everything is when you’re shopping and you’re starving. Use my Woolworths Rewards card. I don’t know if it’s by some kinda magic, but every time I’m really counting my pennies, I’ll have a $10 reward come up on my Rewards card. The system gives one point for every dollar you spend, and when you hit 2000 points, you get ten bucks. Shop online - Without a doubt, when I shop online I spend less, probably because I don’t have the kids begging me for things (and I’m a sucker to giving in!). Grab something from the Odd Bunch - Don’t you love the weird and wonky vegetables and fruits? They might not look perfect, but they taste just the same and the price is cheaper. Check them out in the fruit and vege section. Shop solo - As I said before, I’m a sucker for giving in to my kids. There is one lovely lady who works at our local, and she knows that I always give in, and she comes over to check out what I’ve let them have this time. It’s much cheaper when I shop solo! Though when we do shop with our kids, they can pick up a free fruit from the Free Fruit for Kids basket. Pick and choose - When it comes to shopping, there are some things I like to spend more on (cuts of meat, chicken from the macro range, and the best hams from the deli, and local milks) and then for all of my other pantry items I always look for the in-house supermarket brand. Time for the Vegemite Spaghetti recipe. Now, STOP. Don’t click away. I know you’re thinking this recipe is absolutely not for you. I thought the same. I thought it wasn’t for me either, but I made it. It’s inspired by a recipe that I saw Nigella once make with Marmite, I ate it and I LOVED it. The Vegemite does something with the Parmesan, and it’s just comforting and delicious. It also takes under ten minutes to make. It’s a winner dinner. 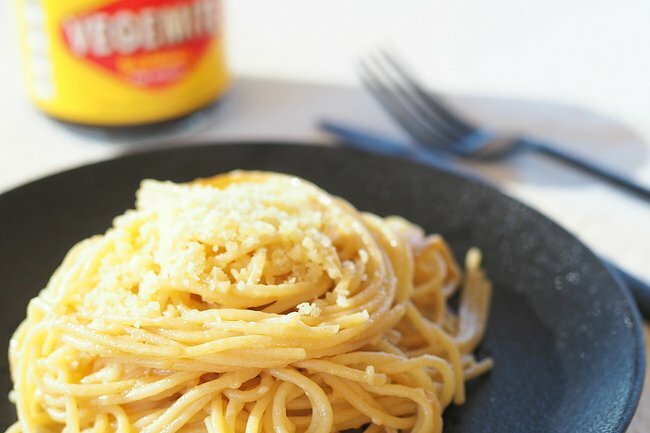 Super Cheap (and easy) Vegemite Spaghetti Recipe. The only four ingredients you&apos;ll need. Image: Supplied. 2 tablespoons of grated Parmesan (or more if you’re into cheese!). Place the spaghetti into the pot and cook for eight minutes. Turn off the heat. Drain water, and return the spaghetti to the pot, toss in the butter and Vegemite and stir until the butter has melted. Serve onto plates and sprinkle Parmesan cheese over the top. Tuck in! Chantelle lives in Northern New South Wales with her husband, her two daughters and her over-enthusiastic chocolate Labrador, Bronte. She made a sea change from Sydney over six years ago, and she hasn’t looked back. She loves to cook, take photographs, explore new places and try new foods. 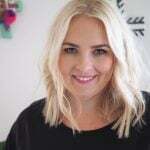 You can follow Chantelle on Instagram, visit her website Fat Mum Slim or check out her photography app Little Moments App here. This post was originally published by Fat Mum Slim and was republished here with full permission.